In a recent “Ask Dr. Swiner” segment that I do on my Facebook page, I had a number of interesting questions about what’s new in birth control. I deal with this issue frequently in my practice, and even I have to make sure I’m up to date with the information that comes out. For years, we’ve had birth control pills of many types. Most pills come in a variety of levels of estrogen and progesterone that balance one another and allow a woman to have monthly, regular menstrual cycle. Some pills, if taken without the placebo pill (the ones at the end of the pack that are usually a different color), allow a woman to have only 3 menstrual cycles a year, such as Seasonale and Seasonique. We’ve had the patch, the ring, the shot, the implant, and the pill for a number of years. But most recently, IUDs have become all the rage. 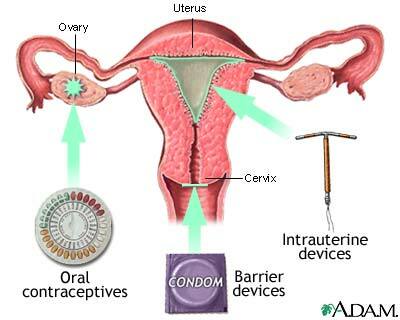 Intrauterine devices(IUDs), such as the Mirena and the Paragard (copper-IUDs), are one of the “hands off” methods, in that the woman doesn’t have to do anything, except wear a condom to prevent STDs, of course. A doctor places the plastic device into the uterus during an office visit, and that’s it essentially. When the woman is ready to have it removed at 5 years (Mirena) or 10 years (Paragard), the doctor takes it out. Recently, the complaint I’ve heard from women about the IUD is that it appears to thin their hair, which might, theoretically, occur with any hormonal option or for other reasons if they’re postpartum. What can be unpredictable about Mirena IUD’s is the way a woman’s cycle might change once it’s placed. Because it’s made primarily of progesterone and does not have estrogen, like most pills, to balance it, it can change the timing of menstrual cycles. What I tell most women is about the rule of thirds. Approximately, 1/3 of women with the IUD may have their normal, monthly cycles; 1/3 may have no cycles (which is usually what the majority of women hope for); 1/3 may have variable, unpredictable cycles. We don’t know which group you’ll end up in until we place the device. In most cases, however, women are pleased with this method of birth control. Norplant was out a couple of years ago, and it is known as the implant that is placed under the skin of the arm and lasted for up to 5 years. It was a 5-rod method made primarily of a progesterone-related hormone, like the IUD, meaning it may have the same effect on bleeding. This was taken off the market about 4 years ago, and now we have Implanon, which is the “new and improved” version. This one lasts for up to 3 years and has to be removed after this point. Instead of 5 rods, Implanon only has one and appears to have less bleeding variability, less bone loss concern, and less weight gain than some of its counterparts. I was recently trained to place this method, and it seems to be a good alternative to the Depo-Provera injection (“Depo shot”) for women who may want to try something different. Essure—the new way to get those tubes tied! The newest one that I’ve heard about is Essure. Instead of going into an operating room and having a bilateral tubal ligation (BTL), or getting your “tubes tied”, this is an outpatient version of the procedure. It involves the release of small metal coils into the fallopian tubes to block fertilization. It is irreversible. The usual surgery that is done to have a tubal ligation is now possibly reversible, depending on how the surgery was done and who performed it. And then, finally, there is another type of outpatient surgery. One that doesn’t involve female anatomy—and that’s a vasectomy. C.Nicole Swiner, MD is currently a Family Physician in Durham, NC, and has worked in a clinic owned by the University of North Carolina since 2007, after completing her residency training there. 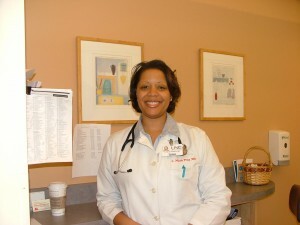 She received her undergraduate degree from Duke University. Dr. Swiner, the Mirena made my hair fall out along my hairline and towards the middle of my hair. I was also depressed while I had it inserted in me. I had to get it taken out. My hair grew back eventually, too. I’m on Loestren now. But it’s quite expensive. Have people complained about the Paragard, too. I wanted to try that one, too. I haven’t heard the same about Paragard, probably because it’s non-hormonal. If you’re tired of hormones, you might think about trying it. I tried the nuva ring and that thing had me sooo depressed. I would cry for days while I was using it. I hated the patch, too because it left sticky blotches on my skin. I may try the Paragard. I just hope it doesn’t cause infections or anything like that. You did a great job with this article. You were very personable. Readers told me that they are looking forward to the next “Ask Dr. Swiner.” I hope you had a great vacation!